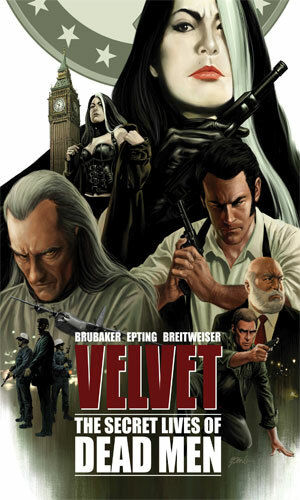 Velvet Templeton is an agent with ARC-7. At least she had been for a fair number of years. As the first recorded adventure begins, she is the very attractive but slightly aging secretary of the Director of ARC-7, a woman that every agent sees as they head into the boss's office and the one they flirt with as they head out into danger. To them she is a witty but slightly distant woman to approach and be kindly but firmly rebuffed. So few know anything about the person she once was and through unfortunate circumstances is forced to become again. ARC-7 is a very hush-hush international intelligence agency. ARC stands for Allied Reconnaissance Commission though what the 7 indicates is unknown. It has been around for quite a few years but is still able to maintain is clandestine nature. It is said to have been a "secret remnant of an Allied espionage group from World War Two". ARC-7 agents are, according to Templeton, the best in the business, "so good most of the intel community has never even heard of us." The main activity depicted in the books take place starting in 1973. 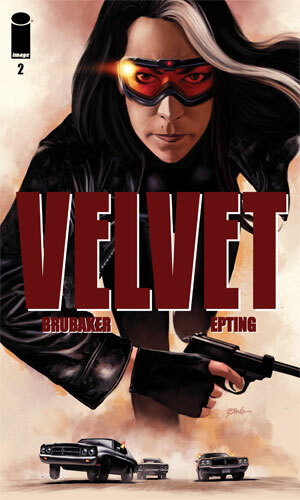 Velvet Templeton is the personal assistant (secretary in those days) to the agency's Director and has been for over a decade, longer than most of the agents have been around. Before that, though, she had been one of the very best agents the department had. Her exploits were many and spanned a good part of the world. East Berlin in 1949, Monaco in 1951, Northern Italy in 1953, Tunisia in 1955, Prague in 1955, and the Bahamas in 1956. These are some of the places where she put her life on the line for the defense of the Free World and where she was forced on too many occasions to take the lives of others. It is not something she liked to do - just something she was more than capable of doing. Born around 1930, Templeton had been a student at boarding school in Switzerland where her father had placed her during the War when she was approached in 1946 at age 16 by Lady Pauline. She was offered a chance to help make a difference and to do something important. She accepted and for the next year or so was trained by the Lady who had been herself one of the best operatives during WWII. She learned through one-on-one tutoring all the crafts needed in the espionage business and she learned very well. For the next decade, she plied her cloak-and-dagger trade very well. Then a personal tragedy struck and she knew she could no longer do her job. Still, she was too good and too valuable to just abandon so the Director brought her in and gave her a new role in the organization, one she was exceptionally good at. Her old life was gone forever. Forever came to an end. 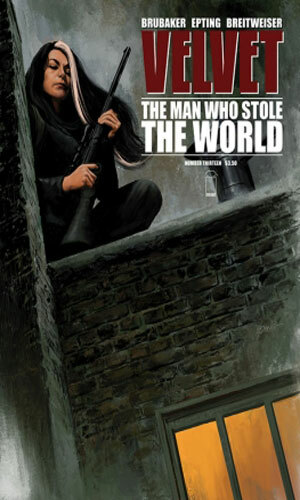 These books are trade paperbacks / graphic novel collections of fifteen comics in the series, put into three story arcs. Collection of the first 5 issues of the comic. 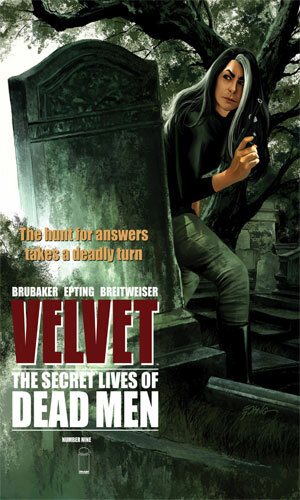 This arc tells of the murder of an ARC-7 agent and how Velvet Templeton, current secretary to the Director, caught at the scene, becomes the only suspect. 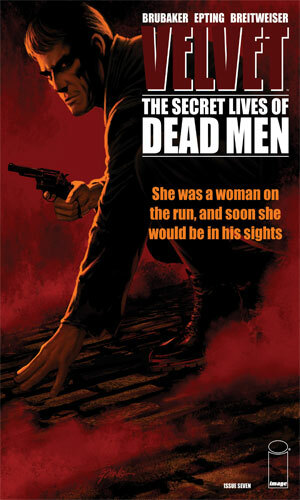 She must flee to find the real killer. Collection of issues 6-10 of the comic. 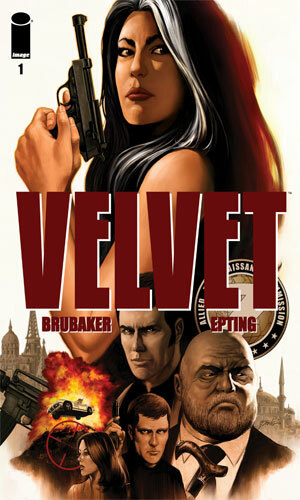 Velvet Templeton has learned that the real killer is a mole in the organization, someone who tricked her and a fellow agent (and lover) into fighting to the death. She is determined to let nothing stand in the way of getting the truth out. Collection of issues 11-15 of the comic. 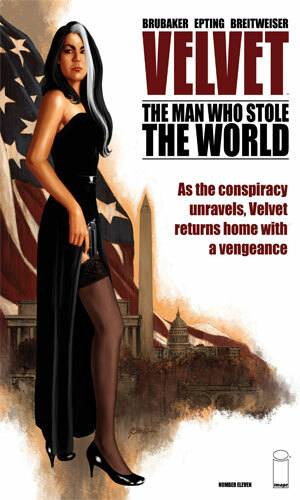 The conclusion of the adventure brings Velvet Templeton back to the U.S. and the nation's capitol to find out finally who has been behind everything and why. Collection of issues 1-15 of the comic. 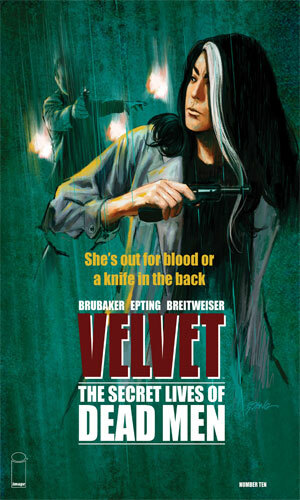 "Velvet Templeton's first major storyline is collected in one oversized deluxe hardback with behind the scenes extras and articles." The death of an agent in the field points to a traitor at HQ. 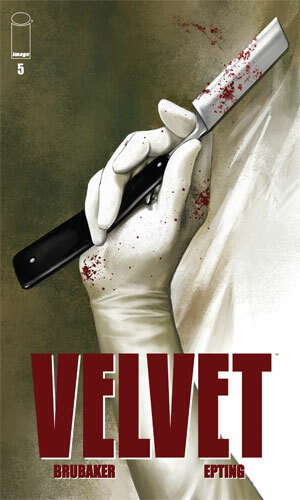 Some evidence points to a former agent, now training instructor but when Velvet Templeton goes to talk to him, he has been murdered and she is caught over the body. She escapes. 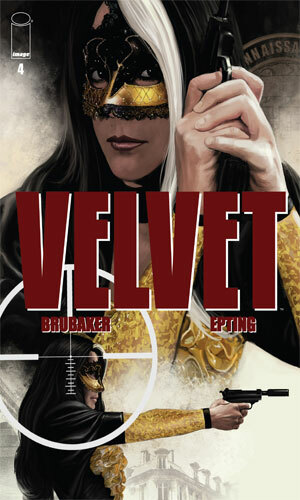 With ARC-7 internal affairs after her, Velvet Templeton must find a way out of the country. 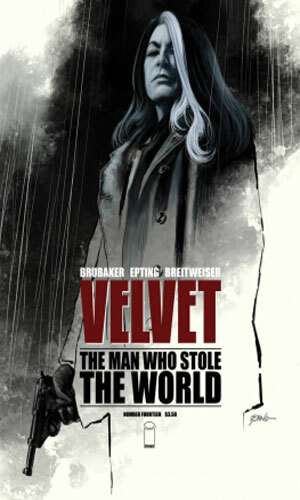 Calling on an old friend for smuggling out to safety, Velvet Templeton goes to the scene of one of the first murdered agent's last missions. Things get complicated very quickly. To get more info, Velvet Templeton heads to Monaco and the Carnival of Fools to meet with an ex-KGB agent who might have a suggestion. 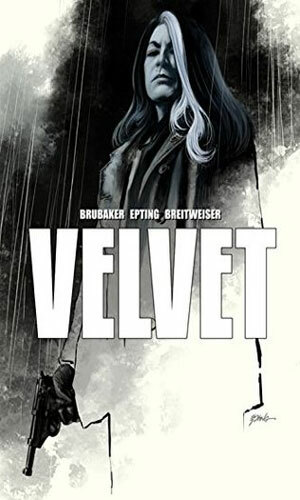 Emotions run hot when the current situations causes Velvet Templeton to remember how she got into the spy game and how much it would eventually cost her. What she learns, though, is she is tired of running and ready to go on the attack. Returning to London to go on the attack, Velvet Templeton reviews the chief suspects at ARC-7 who might be the long-term mole. Oh boy! 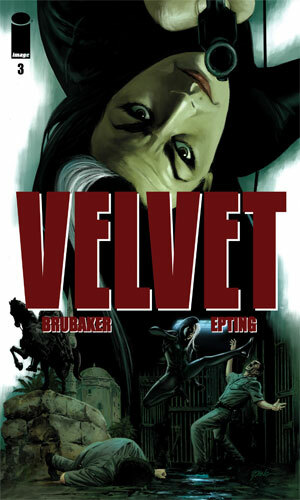 Do I like Velvet! 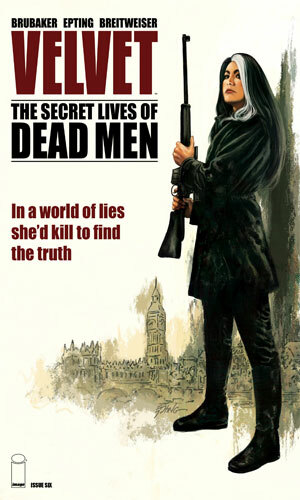 A friend told me about the series during an Xmas party, knowing I loved spy adventures and was also a fan for many decades of comic books (sorry, graphic adventures). 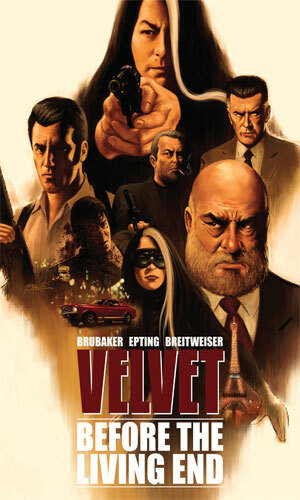 "Do you have Velvet?" he asked. I had never heard of him/her/it so said no and he proceeded to laud about it for a couple of minutes, ending with a definitive "check it out!" recommendation. I did and I was very pleased. 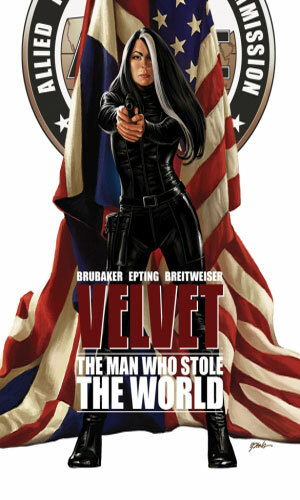 An interview that I read with the creator, Ed Brubaker, clearly shows he was influenced by the Bond adventures as well as Modesty Blaise and when you start with those two awesome characters and have the incredible talent that Mr. Brubaker has, well, you are likely to come up with something terrific yourself and he did. Bond had the lovely Miss Moneypenny to joke and tease and flirt with. 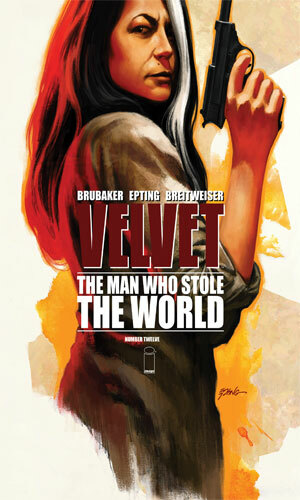 Mr. Brubaker took that concept and created his own "secretary to the Boss" but gave her a past that Fleming never did with his. 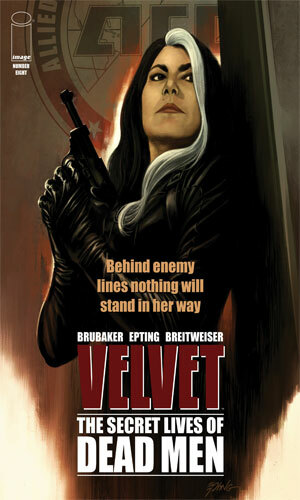 The artwork that Steve Epting gives us is stunning. The locations are richly depicted making you feel you were on the rain-soaked streets or the darkened alleys or on the glittering casino floor. These panels are fantastic but it is the faces of the characters that really blow me away. They are all unique and intricate. You can see the history and personality of each person you meet on these pages and each different from the others. 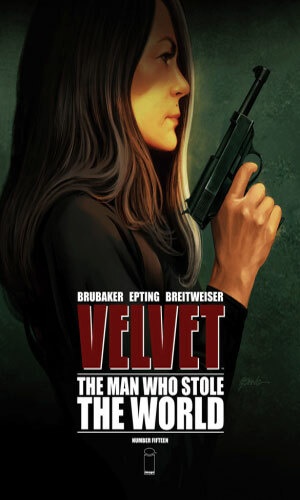 Best of all is Velvet. At 43 (or thereabouts), she is by no means old but certainly not young. From a distance she is mature and handsome and still worthy of an appreciative glance (or four) but when the panel shows her up close, she clearly shows how she remains a great beauty whose eyes hold a whole lot of sadly earned wisdom. That's some drawing! So a terrific author and a terrific artist combine to create a very terrific adventure line. I do not know how long the series will run but I am appreciative for what I've read so far and do hope for more. I highly recommend this character.